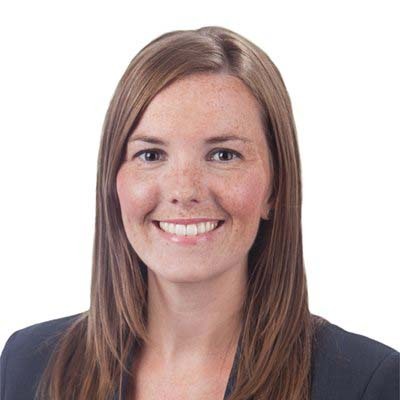 Andree Taylor is a partner in Gowling WLG's Ottawa office, practising in the areas of health law and medical defence. Andree acts as General Counsel to the Canadian Medical Protective Association (CMPA), assisting physicians in regulatory, hospital, privacy and medical negligence matters. She has also acted as litigation counsel at the trial and appellate levels in a number of complex matters. Andree has appeared before the Ontario Superior Court of Justice, the Health Professions Appeal and Review Board, Hospital Boards and various Committees of the College of Physicians and Surgeons of Ontario. Andree serves on the Executive of the Health Law Section of the Ontario Bar Association, including as the Regional Coordinator for the East Region. Andree is an active supporter and coordinator of firm initiatives and events in support of local charities and organizations. Over the last four years, Andree has coordinated the firm's participation in the Ottawa Courthouse Angel Program's holiday gift-drive for children in the care of the Children's Aid Society. She also coordinated the preparation of hundreds of care bags for the benefit of families staying at the Ronald McDonald House of Ottawa. For many years, Andree has also been actively engaged in the firm's student recruitment initiatives and has been committed to the mentoring of junior associates and students. Andree has authored a number of articles that have been published in legal journals, including Interpreting Privacy Legislation in a Practical Way in an EMR Environment; The Tort of the Public Disclosure of Embarrassing Private Facts: Recent Developments; and Social Media Users Beware: Considerations for Health Professionals. During law school, Andree held various research assistant positions, including at ProBono Law Ontario, where she assisted in the development of the Family-Legal Health Program (medical-legal partnership) at SickKids Hospital, and in the Faculty of Law at the University of Ottawa where she researched access to medications across provincial drug formularies and tort liability during public health crises such as SARS. She also held many leadership positions, including President and Co-Founder of the University of Ottawa's Health Law Students' Association Vice President of the Law & Technology Students' Association. Andree has contributed or written an article in the Journal of Complementary and Integrative Medicine, Canadian Pharmacists Journal and Home and Community Care Digest.